DURING many an over-ocean, wartime flight as service inspector of B-24s in the China-Burma-India theater, Engineer Bill Baker’s thoughts of home kept reverting to a time when he. and his sister were lake sailing and their boat capsized, pinning the girl under the sail. Both escaped—but from then on his sister’s love for sail-boating was spoiled by her fear of the water. 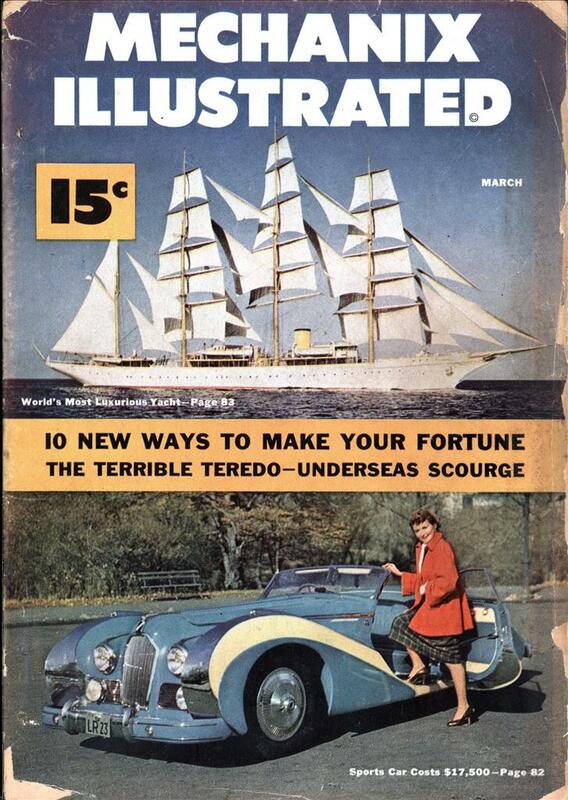 Now, high above the Indian Ocean, Brother Bill glanced down at his Mae West life jacket and got an idea. 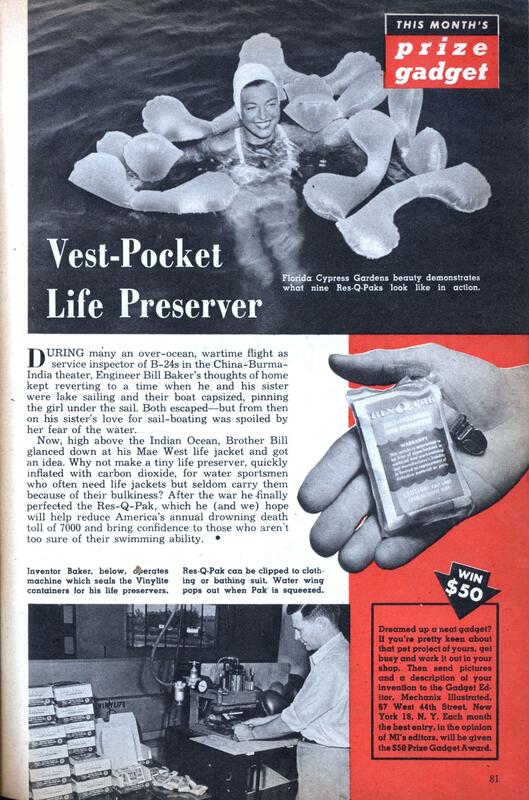 Why not make a tiny life preserver, quickly inflated with carbon dioxide, for water sportsmen who often need life jackets but seldom carry them because of their bulkiness? After the war he finally perfected the Res-Q-Pak, which he (and we) hope will help reduce America’s annual drowning death toll of 7000 and bring confidence to those who aren’t too sure of their swimming ability.